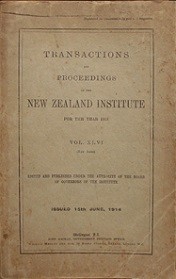 1913, issued 15 June 1914. Worn spine and covers, some foxing. Previous owner name.